Shoppers automatically become NikePlus members after downloading the Nike app—membership that bestows on them such perks as discounts, personalized recommendations and exclusive product offers. NikePlus members already spend three times more on Nike.com than guests do, and the world's biggest seller of sneakers and athletic apparel believes it can achieve that ratio in physical stores as well, with a few tweaks to the traditional retailing model. The 68,000-square-foot New York location takes some ideas from that concept store and builds off them. The phone integration, plus added in-store benefits for members, serves two main purposes—to give customers a better experience and to generate data about who those customers are and what they like. That information in turn works its way through to product design and inventory decisions? "So it's good for our business and it's good for consumers," says Heidi O'Neill, President of Nike Direct. 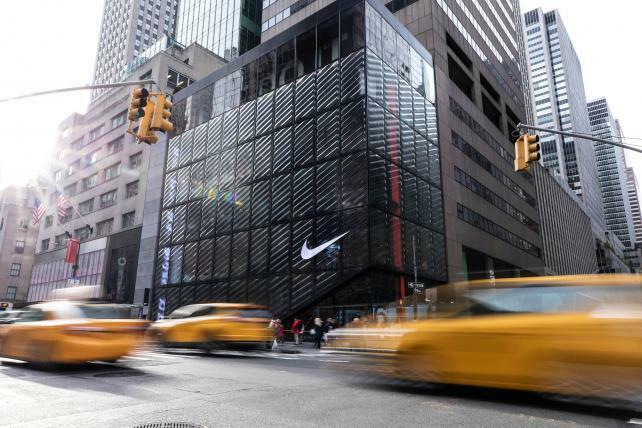 Nike has long been considered a leader in the retail world, according to Liebmann. That's also true of its marketing. When Nike released a controversial ad campaign with Colin Kaepernick earlier this year, its marketing reputation alone led many to praise the decision. Nike knows it's customers, was a common refrain, so this must be what they want.